LED lights are useful because they are energy efficient and ecologically viable. But one of the problems of these lights is flickering. However, these don't flicker as much as traditional incandescent lights or CFL lights, and the intensity of the flickering also depends on the situation. This flickering of LED light happens when its output fluctuates. It is an interesting factor that all mains-powered light sources have the same problem of flickering, and it is evident in some cases too. The flickering of CFL lights is pretty evident and visible, and comparing to that, LED lights don't flicker much. Traditional Incandescent lights are not prone to flickering problems because of their energy transformation to heat. But as LED doesn't use up its energy on heating, thus it is important to understand that flickering is a natural thing for LEDs. Flickering is of two types; visible and invisible. It is the flicker that we can notice, and it can be anything ranging from 3 Hz to 100 Hz where the range of 15-20Hz being the range of highest possible occurrence. People usually suffer from epileptic seizures and photosensitive epilepsy due to visible flicker and about 1 people in 4000 can suffer from it. It is more dangerous than visible glimmers because it can't be noticed before it causes harm. Invisible flicker can cause headache, nausea and these flickers can't be seen even if they are present. Most of the times, flickering in LED lights is unintentional and can be traced back to the power companies which designed the electricity flow to use Alternating Current (AC) instead of Direct Current (DC). Alternating current source is a problem for LED lights as it means that a light delivered at a frequency of 50Hz will result in the light switching backward and forwards 50 times each second. This will also mean the sine wave with the AC power will peak both positively and negatively and it causes the frequency of the light to be in a range which can cause flickering. LED flicker is a common problem when the power supply to the LED is switched off or when it is connected to an AC electricity supply. Because then it will mean that the LED will switch on and off 50 times per second to be visible to the human eye, but this can easily be avoided if instead of the AC electricity supply we use the LED drivers. Fluctuating output is an issue behind the flickering of LED lights. Fluctuating output mainly happens in old halogen transformers, and the flickering may also be caused by the uncleanliness of the output voltage on the transformer. But if flickering exists even when a person uses a transformer, it will mean that the minimum load is significantly lower. And thus to stop flickering, one should replace the old transformer with a new one. The inappropriate dimmer may also cause flickering, and it may be caused by an LED lamp and the dimmer not coordinating properly. If the dimmer specification doesn't fit or if the dimmer is old, it most probably is prone to create flickering. Also, older dimmers require a high minimum load, and without satisfying it, one can't ensure that the lights won't flicker. 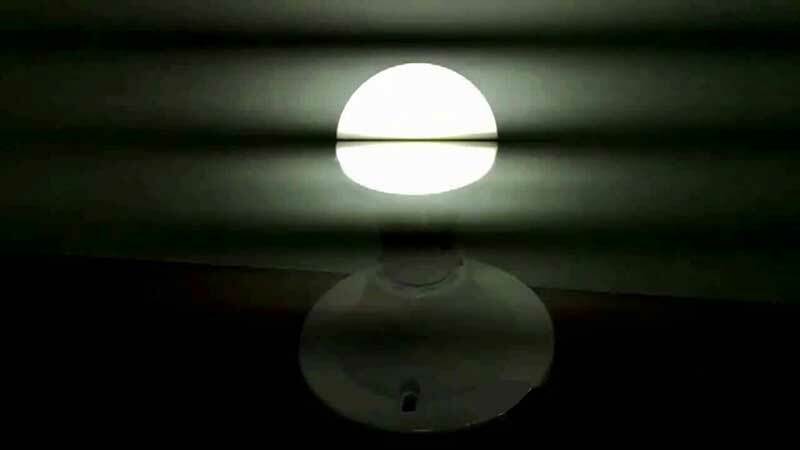 If an LED light flickers when it is switched on, it may be understood that the lamp is of poor quality or the lamp is on its way to becoming faulty. In case the lamp has performed flawlessly for a particular period of time, and then it begins to flicker while switching on, it may also mean that the capacitor inside the electronics has become faulty. In any case, if the lamp starts to flicker after switching on, it should be replaced with a new LED lamp. Sometimes an LED light starts flickering after it has been switched off and it naturally means that there is something wrong with the wiring of the light. If the light flickers after it has been switched off, then one must check the wiring of the light switch or a switch with a night light. Motion Detectors can also cause LED light to flicker, and it may happen while using a motion detector with an electronic switch. Motion Detector also forces a minimum load to be provided to the lights, and certainly, if the load isn't provided, it causes flickering. Single-wire motion detectors can also cause flickering. Flickering can be both visible and invisible, and in any case, one must stop flickering because it can cause severe damage. As we have known that flickering may be caused by different reasons and there are different solutions for each of them. But the most common solution is to change the LED lamp. Yes, it may sound costly to do so, but it is better to consider in the long run as people will need to be aware of flickering and stay away from it and a new LED lamp/light will ensure just that. If flickering starts, firstly one will have to identify the reason behind it when the flickering takes place and solve it accordingly. Mostly one has to be careful of the minimum load required and the wiring and also connecting the LED to the proper switch. Also, it is recommended to use LED drivers for LED lights which will stop flickering at its root and will not use the traditional AC power supply which in turn will ensure better performance of LED lights. LED lights don't flicker as much as CFL, but it still is a matter of concern as nobody likes their light flickering while doing something important. Flickering when visible should be stopped immediately. And when it is invisible, one should contact an electrician to find out the problem of the light. LEDs are energy efficient lights and ecologically viable too, and thus this small problem of flickering should not bother people in buying these, and it is also noticed that flickering doesn't happen often and is pretty much a simple issue to solve.